The death of a family member or loved one is a difficult time for anyone. The last things you want to think about at such a time are the practical and legal steps that need to take place. While many of these steps are simple, some can be time-consuming and involve complicated legal issues. Nevertheless, these steps are necessary, and important, and being familiar with them can only help you if a loved one or family member dies. The legal process of winding up the affairs of the deceased is generally known as settling an estate, or estate settlement. As with all legal topics, and especially with estate law, there can be significant differences from state to state. Always talk to an experienced estate or probate attorney if you have specific questions about the laws in your area. An attorney’s assistance is especially important when you begin the probate process, or when you’re confronted with an emergency situation or an unexpected death that requires you to act immediately. When a family member dies, you, or someone else close to that person, will want to take some basic steps fairly quickly. While you are not generally legally obligated to take these steps, getting them out of the way will make it easier for you and everyone else involved. If you’re the first to learn that someone has died, you should reach out to the people closest to the decedent. (Decedent is a legal term for a deceased person.) 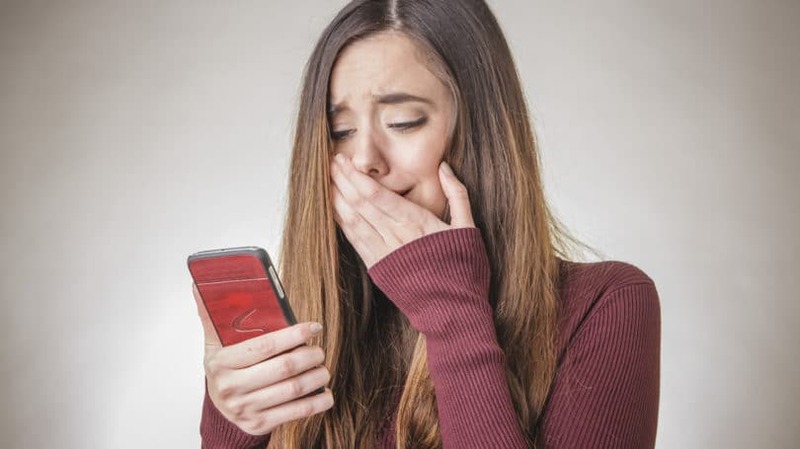 Contact family members and close friends first, but after that, you should notify the decedent’s employer, personal physician, attorney, accountant, and anyone else closely involved in his or her life, or anyone who might have important information. If you’re overwhelmed and not able to contact everyone, ask others to help you. Similarly, if someone contacts you to notify you of a death, ask that person if you should call anyone in turn. If the decedent was the sole caretaker for any animals, pets, minor children, or adults with disabilities, you’ll need to ensure they’re properly cared for immediately. If the decedent left an estate plan, that plan should directly address such issues. But if it doesn’t, or if there is no plan, you’ll have to act. If the death was unexpected and there are immediate needs that must be addressed, you’ll need to call a local estate planning attorney about your options after you’ve ensured the child, dependent, or animal is cared for. In these situations, you may have to ask a court to issue emergency orders to ensure the protection of the minors or dependents. One of the most immediate concerns you’ll face is arranging for a transfer of the body to a funeral home or mortuary. Hospitals will typically assist you with this, as will nursing homes and other health care facilities. For decedents who had an estate plan, that plan will often include the name of the funeral home they’ve selected. You’ll usually find this information in the letter of instruction, advance medical directive, or the last will and testament. The pronouncement of death is a document filled out by a medical professional that states when and where the decedent died. Only certain people are allowed to create a pronouncement of death, and state law differs on who that can be. In general, only medical personnel or state officials can complete a pronouncement of death. For example, if the decedent died in a medical or elder care facility, the facility staff will be able to provide you with a pronouncement or tell you how to obtain one. If the death occurred in your home, you should call 911, report the death, and ask if they can send someone who can complete the pronouncement. If the death was accidental, the result of a suspected crime, or involved law enforcement, you’ll usually have to contact the county coroner or hospital where the decedent was taken. A death certificate is a document that’s usually issued by a mortician, county or state vital records office, or coroner. In order to notify interested parties of the death, such as banks or creditors, you’ll need certified copies of the death certificate. Without them, or with only unofficial copies, many of the steps you have to take will be much harder, if not impossible. 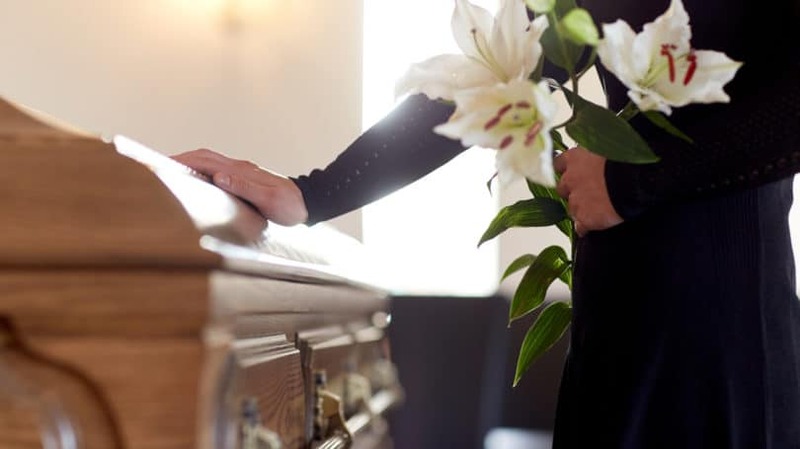 Within a few days of the death or transfer to a mortuary or coroner’s office, you’ll want to contact the person who has control of the remains and request copies of the death certificate. State laws on who can obtain certified copies differ, but if a court has already named an executor or estate administrator, it will be that person’s job to obtain copies. If there is no court appointed representative, it will be up to a family member to obtain the certified copies of the certificate. 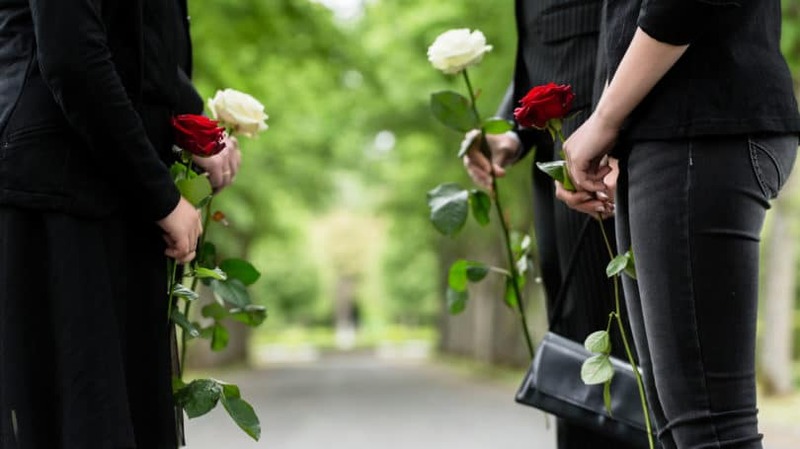 After you’ve transferred the body to a mortuary or similar facility, you’ll also have to begin preparing for a funeral, cremation, or burial ceremony. You can usually wait a couple of days or more before you begin making these plans, and can use that time to determine if the decedent left behind any instructions. Follow the decedent’s wishes, if you know them, or the instructions left behind in the estate planning documents. If you don’t have guidance, you’ll have to make the plans on your own, or coordinate with other family members and loved ones. Once you’ve addressed the immediate needs that arise after the death, you’ll have to begin the process of managing and settling the estate. An “estate,” in legal terms, is the collection of assets, debts, and other issues left behind by a decedent. The estate settlement process is the legal process of disposing of the assets, paying the debts, and addressing any other questions or legal issues that might arise, such as who becomes the owner of the decedent’s pets, or who is legally responsible for caring for any young children who were in the decedent’s care. As a general rule, only those who are chosen by the decedent or granted permission by a court can settle the estate. You can’t, for example, simply decide to start taking grandma’s money out of her bank account after she dies, even if you’re sure you know where the money has to go. The property belongs to the estate, and until the estate transfers it in a legal manner, neither you, nor anyone else, can use it. The estate settlement process can be complicated, lengthy, and expensive, even if there aren’t any complications. The larger the estate, the more complicated its holdings, and the more conflicts that arise, the more help you’ll need. That’s why anyone in a position to manage an estate needs to contact an estate planning and probate attorney as soon as possible, especially if the estate is of considerable value. The cost of hiring an attorney will differ depending on where you live and the size of the estate. An estate attorney will charge either an hourly rate, a flat fee, or a percentage of the estate’s final value. The costs involved in dealing with the death of a loved one is one of the most immediate concerns faced by people who find themselves in this situation. Who pays for the funeral? Who pays for copies of the death certificate? Who pays for the incidental expenses that must be paid immediately? Who pays the lawyer to take the case through probate? As a general rule, the estate is responsible for any debts that arise after the death and throughout the estate settlement process. In practical terms, this means that if you personally incur expenses when you, for example, pay for pet food to care for the decedent’s pets that were left behind, you can bill the estate to receive compensation for those expenses. The estate won’t pay you back immediately (and you’ll have to wait for the estate representative to be appointed and begin paying estate debts), but you’re entitled to be compensated for your actions. Similarly, if the decedent left behind any debts, taxes, or other obligations, it’s not your personal responsibility to pay them unless you were a joint debtor. So, if the decedent has unpaid credit card bills, you’re not responsible for paying those bills. But, if you had a joint credit card with the decedent, you’re still responsible for those debts, as you are for any other loan or obligation you have. Probate is a legal process that applies after someone dies or becomes incapacitated. All states have specific laws that cover probate cases, and though many of these laws are similar, differences between individual states can be significant. In general, you can divide probate cases into two main types: small estate (or summary) probate, and traditional probate. Further, many states have several types of traditional probate, each of which has varying levels of requirements and court involvement. All states have some process in which you can either skip probate entirely, or go through a small estate probate process that removes almost all of the legal requirements associated with traditional probate. To qualify for a small estate probate process, the estate will have to be no larger than a specific amount. 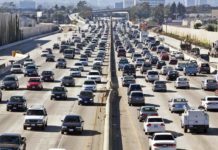 This amount varies greatly by state, but can be as little as $500, or as much as $200,000. So, if the estate is worth more than the small estate limit, you can’t use the small estate process. Also, additional restrictions often apply to small estate probate. Your state might, for example, have a small estate probate process that excludes estates with real property, debts, or those in which the decedent died without a will and left behind more than one descendant. Simplified Small Estate Process: The simplified small estate probate process allows you to open a probate case with the local probate court, but with much fewer steps involved than in a formal or traditional probate case. For example, a formal probate case typically requires an executor to submit a list of estate assets and debts before distributing anything to inheritors or using the assets to repay debts. In a simplified process, you might not be required to take this step, but you will still file a petition with the court asking it to name you executor before you can begin distributing money or other assets. Traditional, also known as formal or supervised, probate is a probate process that involves some level of court supervision and approval. Most states have more than one type of traditional probate process, but again, the requirements and rules for each process differ widely. Traditional probate applies to estates that are larger than the small estate limit, have issues that preclude them from being a small estate, and estates in which there are conflicts or disagreements between creditors, beneficiaries, or the decedent’s family members. Informal probate is similar to the simplified small estate process, and applies to an estate that wouldn’t otherwise qualify for small estate probate. This process typically requires you to file paperwork with the court at various stages, but doesn’t involve court hearings or supervision. Informal estate probate is appropriate in cases where there are no legal disputes or disagreements over the will, the disposition of assets, or the payment of debts. Unsupervised formal probate cases typically involve special circumstances, such as underage inheritors, an estate with significant assets but no will, or beneficiaries who disagree about how to manage or distribute estate assets. Unsupervised formal probate requires executors to get court approval for specific actions, such as using estate funds to pay creditors or distributing assets to beneficiaries. Formal probate is the most rule-intensive probate process, and has the most court involvement and supervision. 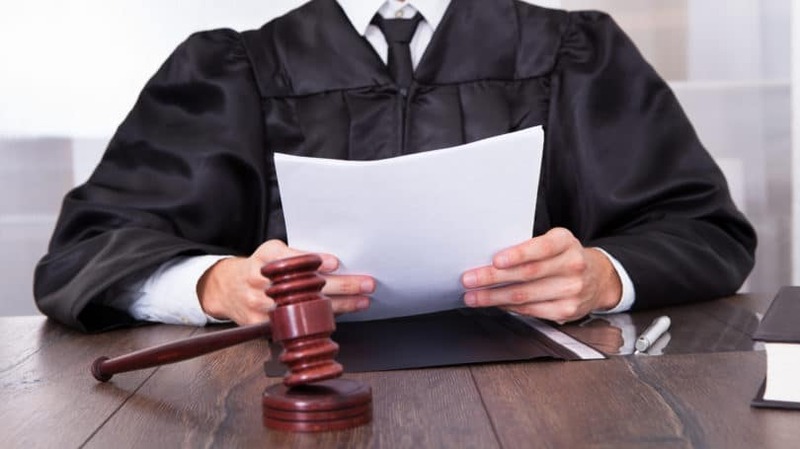 Supervised formal probate can involve multiple hearings before a probate court judge, require court approval for specific executor actions, and can even involve jury trials and lengthy appeals. The formal probate process is typically the longest and most complicated form of probate – and also the most expensive. Regardless of the type of probate case you have, and the state in which the case is located, the probate process generally goes through the same basic steps. In simplified probate cases, these steps will be simple, or nonexistent, while in traditional or formal probate, the steps will have more requirements associated with them. The estate administrator, also called the executor or personal representative, is usually the only person with the legal authority to manage the estate through the probate process – or at least, manage the estate after it’s been submitted to a probate court. 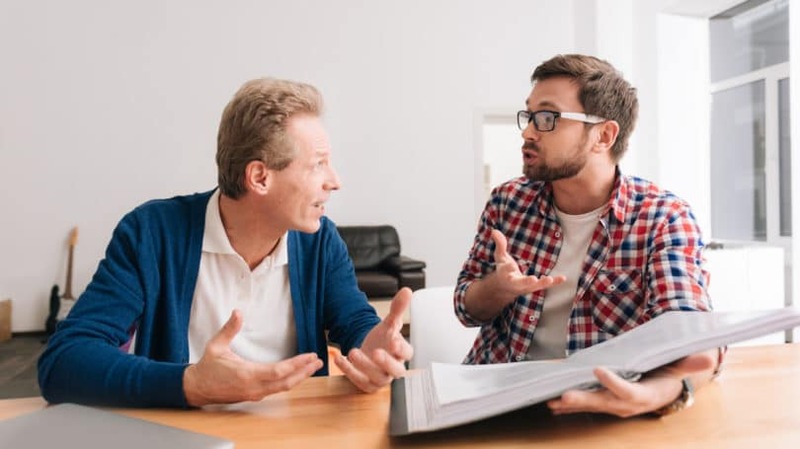 Administrators almost always have a probate attorney advising them throughout this process, though small estates and informal probate cases may not require an attorney or an appointed administrator at all. If the decedent left behind a last will and testament, that document will be at the heart of the probate process. If you know the decedent left a will behind, you’ll want to find it and submit it to the probate court when you ask the court to open a new case. You can still start a new case if you don’t have the will, or if you have an old will or a copy of the will. If you don’t believe there is a will at all, you should still try to determine this to the best of your ability before submitting anything to the court. Before anyone can begin selling, transferring, or using estate property, someone has to initiate the probate process. This process begins when you file a document (usually called a petition or application) with the probate court in the county in which the decedent lived. The document will ask the court to open a new probate case and name an estate administrator to manage it. When you file the petition, you usually ask the court to name you as executor, but you can also ask the court to name someone else. Once you’ve submitted the will to court and begun the settlement process, you’ll have to notify interested parties. This includes mailing notices to anyone named in the will, anyone who would inherit if the court determines the will is invalid, and estate creditors. You’ll also want to publish a notice in the local paper. Because the probate and estate settlement process can last a long time, the administrator will have to ensure that the estate assets are managed properly until they’re transferred to new owners. This can involve, for example, paying bills on time, hiring caretakers to manage real property, notifying police and asking them to periodically check on any vacant property, and making sure any other assets are protected throughout the process. As administrator, you’re entitled to receive compensation from the estate for any time you spend and expenses you incur performing your duties, so it’s vital that you keep track of both. One of the most important parts of the estate settlement process is conducting an inventory or assessment of exactly what the decedent left behind. Whether it’s real estate, investments accounts, cash, valuable personal items, or anything else, the estate inventory must include everything. This inventory, and the determination of the estate’s final value, becomes the basis for most of the remaining process. You’ll use it to determine how much the estate is worth, whether the estate owes taxes, whether there are enough assets to pay creditors, and how much you’ll have to distribute as inheritances. In some situations, you’ll have to liquidate (sell) some or all of the estate’s assets. Liquidation of assets is common when the estate is insolvent (has more debts than assets), when the decedent died without a will (known as dying intestate), or when the estate has a lot of personal property that isn’t directly addressed in the will and needs to be disposed of. Liquidating assets can require you to, for example, have valuable personal items appraised by an expert, or hire an estate auction or estate sale company to dispose of personal property. 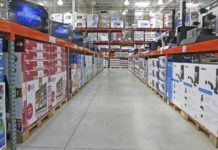 After making the inventory, you then have to determine if the decedent owed any debts. Luckily, the debtors are obligated to contact the estate and notify it that they believe they are owed money. 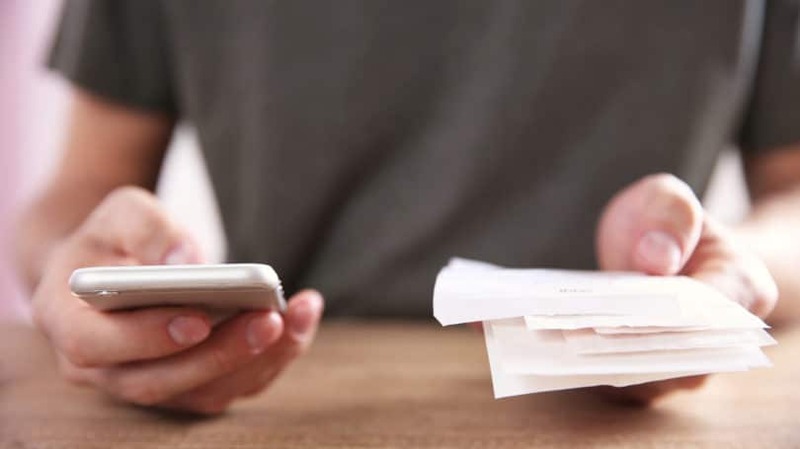 This claim process has several steps, including publishing one or more notices to creditors, allowing creditors to submit claims, accepting or rejecting claims, and determining what creditors, if any, get repaid. If the estate is insolvent, some of the creditors won’t get repaid, or may receive only partial payment. State probate laws determine the order in which creditors get repaid. With all estate debts repaid, it’s time to begin distributing assets. 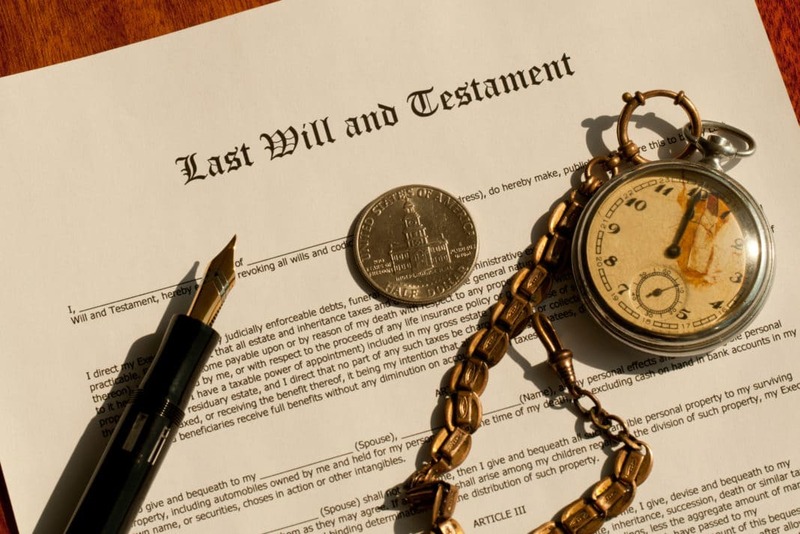 If there’s a last will and testament, its terms determine who inherits, and how much. If there’s no will, state intestacy laws determine who the inheritors are. Once everything is disposed of, or ready to be disposed of, the administrator will have to file a report with the probate court for approval. The report will detail the inventory, list the creditors, and show how all the assets will be disposed of. Once approved, the administrator will transfer the assets and the estate will be closed. At any point in the probate process, it’s possible that conflicts or legal challenges might arise. These will necessarily extend the amount of time it takes to settle the estate, and will usually result in more estate expenses. For example, if a relative wants to challenge the validity of the decedent’s will, the probate process cannot be resolved until the court holds a hearing and makes a ruling. Similarly, creditors can challenge an executor’s decision to reject a claim, family members can challenge the appointment of a guardian over a minor child, and interested parties can challenge the executor’s inventory, distributions, or expenses. The majority of probate cases are relatively simple and straightforward. While they all involve specific processes and procedures that must be met, they don’t usually involve legal battles or lawsuits. However, there are some circumstances that fall outside of probate, or are part of some cases and not others, that can either complicate or simplify the process. It’s easiest to understand a trust fund by imagining it as a small company that exists for one purpose: to own money or property on behalf of someone else. There are many kinds of trusts, and many ways to create them. One of the most common is when someone writes a last will and testament that calls for the creation of a trust to own assets on behalf of minors (children) who can’t legally own property. Since trusts are independent legal entities, they can continue to exist after the death of the person who creates them. Many types of trusts are not subject to the probate process, and if the trust owns property that passes to new owners after the trust creator dies, that inheritance process won’t be a part of the probate process either. If a relative dies and leaves behind a trust, the most important thing to understand is that, unlike a will, the probate process has a small role in how the trust operates. Unless there’s a legal conflict, a problem with the trust property, or some other kind of issue that cannot be resolved, probate courts are not involved. Instead, it’s up to the individuals who are part of the trust to manage and use its property. Trusts typically own property on behalf of someone else (the beneficiary). The trustee manages the property the trust owns and uses it only in a way that benefits the beneficiary. For example, a will might direct that part of the estate’s money be transferred to a trust, to be managed by you, so that the trust can pay for the care of the decedent’s dog. This is known as a pet trust, and is a common type of testamentary (will-created) trust. Other common types of trusts include those that protect inheritances received by minors, those for property to care for people with disabilities, or those that stipulate that the money be used for charitable purposes. If the trust came into existence before your relative died, there will already be a trustee (manager) who runs the trust. On the other hand, if the decedent was the trustee, someone new will have to step in. (That new trustee will typically be named in the trust document.) In this situation, you’ll have to find the trust document and identify who the new trustee is. On the other hand, if the trust is created through the decedent’s last will and testament, that document will name who the trustee is. The court will also have to determine if the will is legally valid before the trust can begin managing any property given to it. Each trust has its own terms and conditions, and if you are a beneficiary, or involved in trust management or the management of the estate, you’ll need to understand how these conditions affect you. In most situations, talking to an estate and trust attorney will be necessary if you’re confronted with an estate that has one or more trusts. When the parent or guardian of a child dies, the probate case may also address the child’s care and material needs. However, this only happens if there isn’t a surviving guardian or spouse who can care for the child. For example, if your sister dies, leaving behind a daughter, the child will be cared for by her father, assuming that the father is still alive. However, if your niece is left without a living parent, and your sister didn’t leave behind a last will and testament that named a guardian, the court will have to determine who the new guardian is. Also, because the child is not old enough to own property, any inheritance she receives will have to be held in trust and managed by a trustee until she is old enough to become the owner. In general, you, as an individual, are never responsible for paying estate expenses. This includes any estate taxes that the estate might have to pay. Inheritance taxes, on the other hand, are different. If you receive an inheritance and live in one of the few states with an inheritance tax, it’s your responsibility to determine if the tax applies to you, and how much you have to pay. Managing an estate, navigating the probate process, and dealing with all the issues that arise after a relative dies can be difficult. That you’re also grieving when you’re expected to manage these issues makes the experience that much harder. Asking others for help, talking to an expert, and giving yourself a head start by doing some basic research on what you’ll face will help you manage the task more easily. With a simple road map, an understanding that the process will take time, and lots of patience, you’ll get through it. What have your experiences with the probate and estate settlement process been like? Was there anything you wished you’d known before you started?